The team's mission at the Nimbin Bush Theatre is to create the most diverse, inclusive and amazing venue in the Rainbow Region. 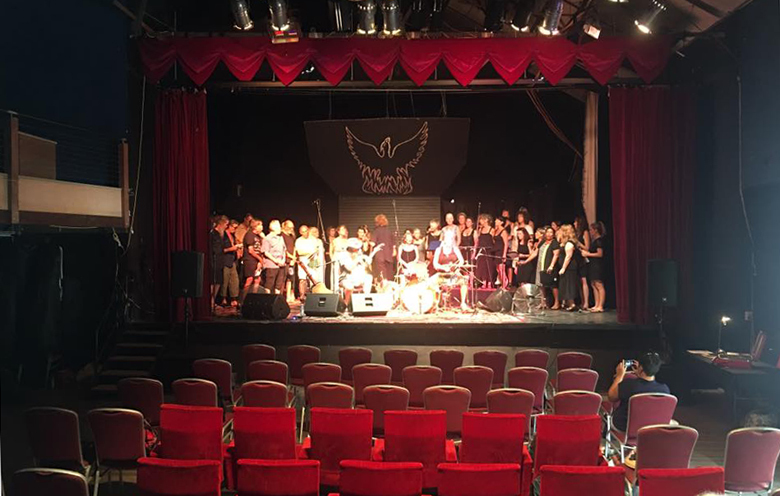 The Nimbin Bush Theatre holds up to 350 people and is part of the old butter factory which is over 100 years old, in the colourful village of Nimbin, Now it has been reborn as a hub for the arts including workshops, film, music, theatre and visual art. The Bush Theatre has a Cafe onsite with a great menu, an outdoor stage and an Auditorium for big gigs. The gardens that surrounded the complex are a combination of native regeneration and kitchen gardens to supply the bush food kitchen. 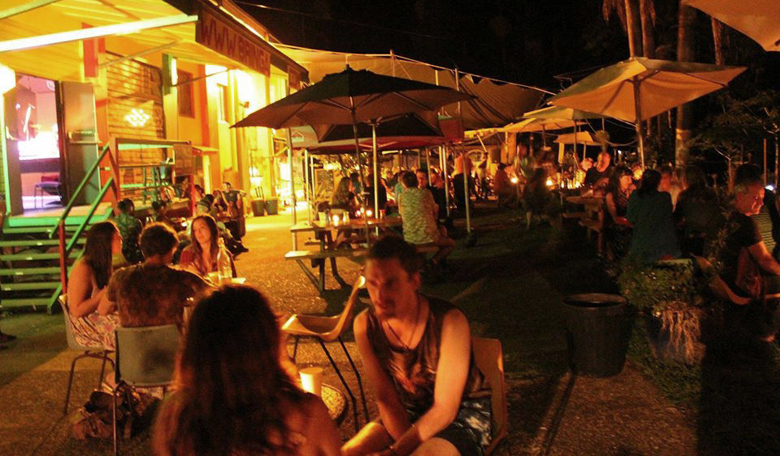 Other businesses within the building complex include Nimbin Candles, the Bringabong shop & various artists' studios. There is Free live music every Saturday and Sunday and many other special events.